When you are a regular user of Money Dashboard it becomes really clear where you are overspending. Many of our users don't realise how much of their income goes towards gas and electricity bills until they're able to visualise it with our budgeting software. If you think you might be paying too much but don't know where to start, this article aims to give you the knowledge you need to do some informed comparison shopping. Some users find it difficult to shop for an energy supplier due to the baffling lingo. The following are some of the more common industry terms and their meanings:Tariff  The type of account or payment arrangement for energy usage agreed upon between the energy company and their customers. Different tariffs are appropriate for different energy usage behaviour.Kilowatt Hour (kWh)  A unit of energy, an appliance that requires 1000 watts of power uses 1 kWh of energy every hour. Your energy usage is measured in kilowatt hours.Standing Charge  An amount you pay regularly, often daily, for your power regardless of how much you use.Unit Rate  The amount you pay per unit of energy you use.Tiered Rates  A feature of some energy tariffs where you pay different rates after certain thresholds of energy usage. Usually the first tier is more expensive, and after a certain level is reached the unit rate is reduced.Variable Tariffs  The unit rate and standing charge of your tariff can be increased or decreased by the energy company, usually they will send a letter alerting you to rate changes.Fixed (or Fixed Price) Tariffs  The unit rate and standing charge of your account cannot be changed without your consent. 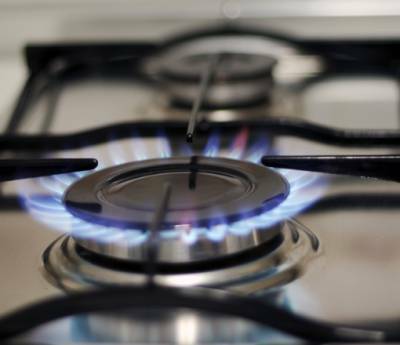 These tariffs will likely be more expensive or have other restrictions like fixed contract length.Capped Tariffs  The tariff is variable, but will not rise above a specified cap or limit.Dual Fuel - When your gas and electricity comes from the same supplier. This is almost always cheaper than the alternative.Exit Fee  A one-off fee for changing your energy tariff before a period of time agreed with the energy supplier is reached.Off-peak Tariffs Rates for energy usage are different during specified hours of the day. This is useful if you use more electricity at night, or if your home uses a storage heater. Follow our steps on how to save money on your energy tariff to identify and switch to the cheapest tariff available to you based on your usage habits. Keep your energy usage down by reading our ways to save money on energy bills and cutting down your energy usage.